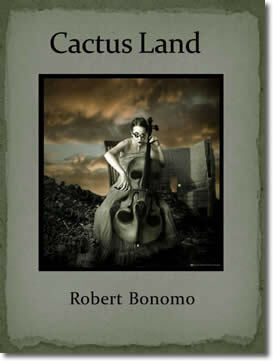 The unease of a world unraveling is the essence of our time and of Cactus Land. In an unknown country plagued by vague wars and illusory terror, six people grapple with truth, love, and the end of time as we know it. The central character’s life slowly disintegrates into a chaos reflected in the world at large. The supernatural becomes intertwined with media propaganda until there is no clear line between the fear in the characters’ minds and the brutal reality they face. The tension builds to a climactic end that does not disappoint.